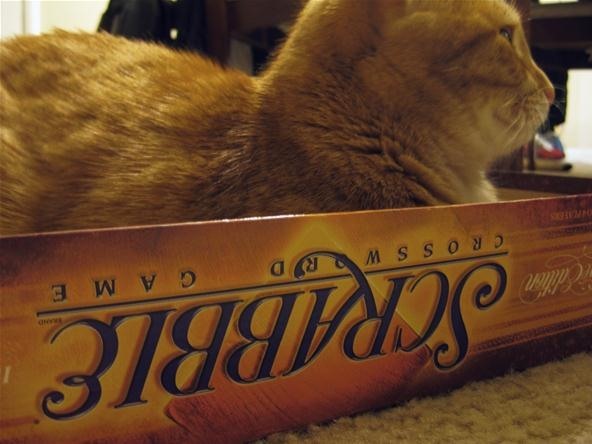 Just imagine the fierceness of the gameplay between two FERAL cats. 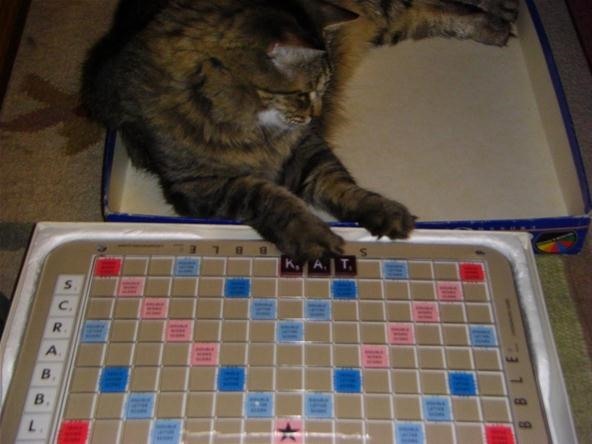 And imagine what would happen if they looked up CAT in the Scrabble dictionary and saw that the definition was actually "to hoist an anchor to the cathead." 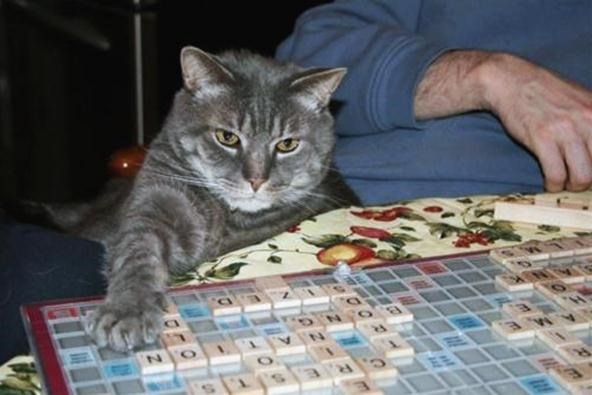 What the MEOW is a CATHEAD? Something on boats? Cats don't even like water? 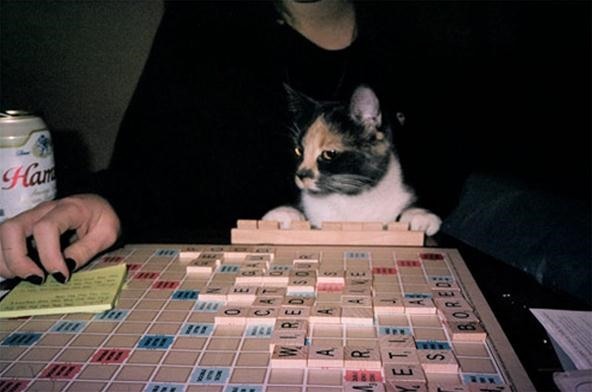 But things would cool down once they realized FELINE accurately described them. Or does it? 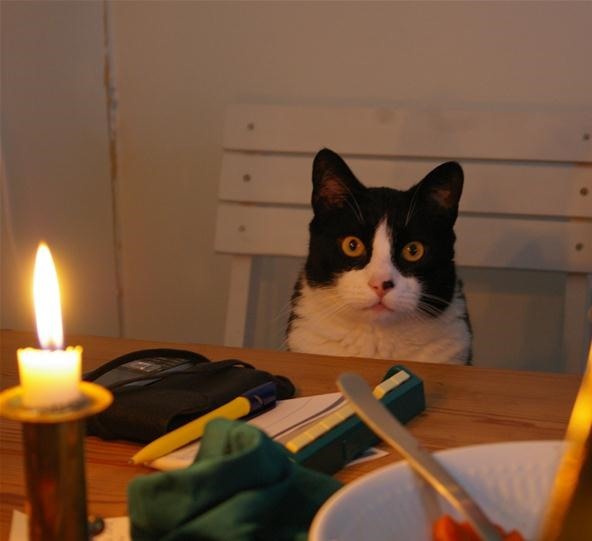 An animal of the cat family? 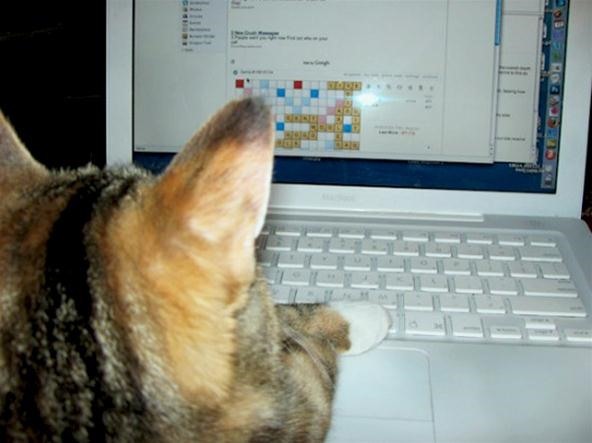 If you just used the Scrabble dictionary, you'd think boat beams were a living species. 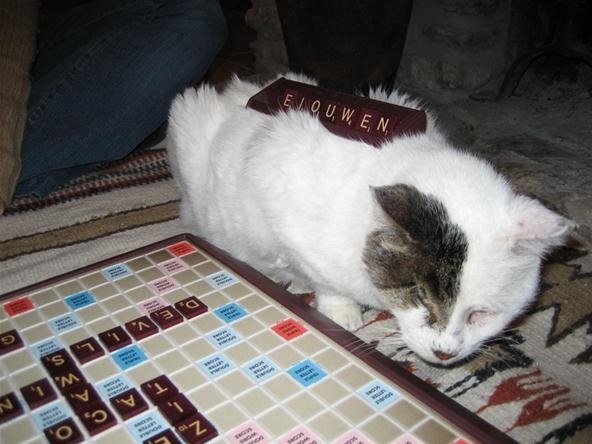 Maybe they should just stick to using FELID on the Scrabble board. 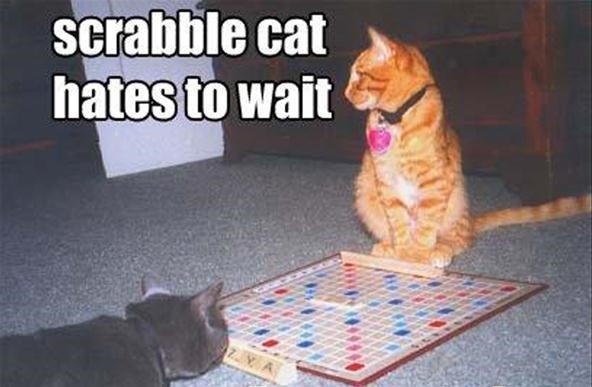 It's more points anyway, and better describes their FELINITIES. 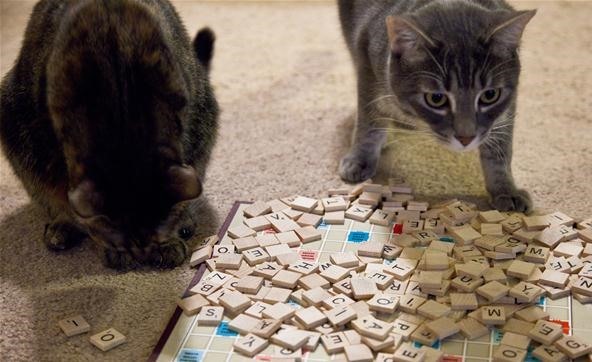 But what are the chances that cats would stick to playing FELINE related words? 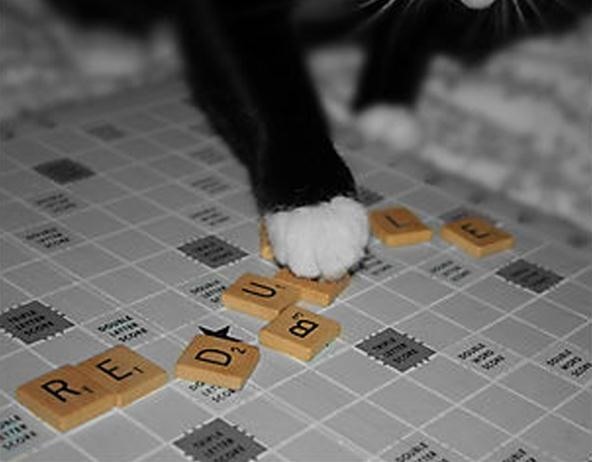 Do humans go around playing words like HOMO and SAPIENS? I think not. 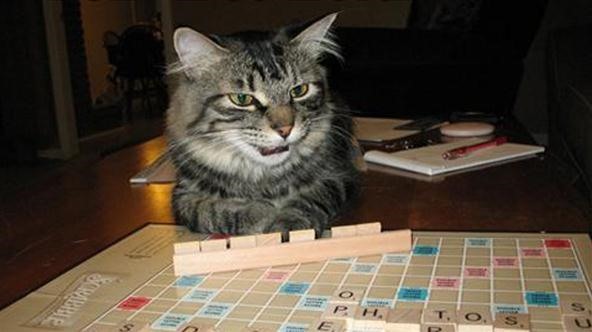 Unless of course, they're using one of those words in its derogatory sense. 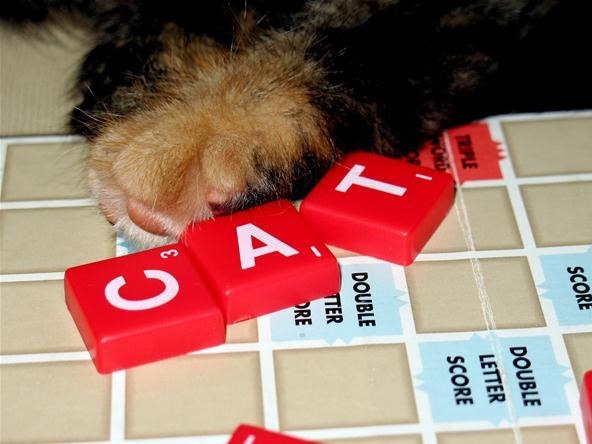 Humans are more likely to play words like CATNAPER and CATTERY. 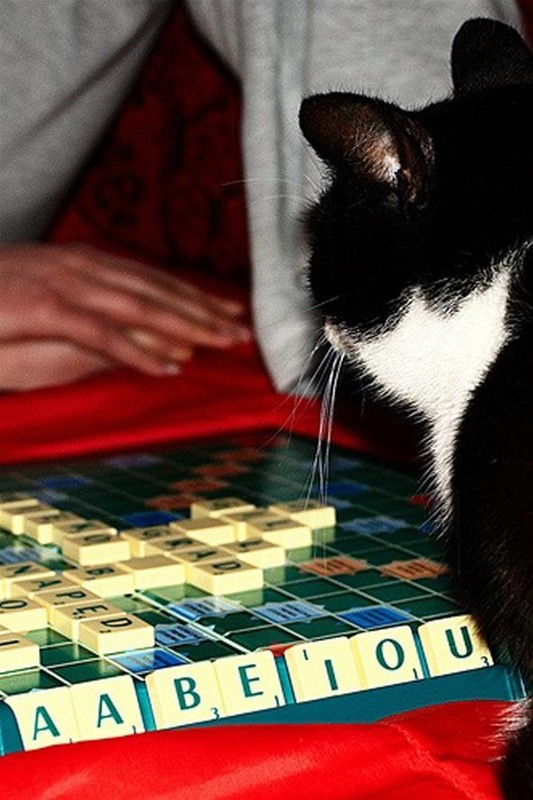 So what kind of words do FELIDS actually play? From the gallery below, I think I can take 'em. 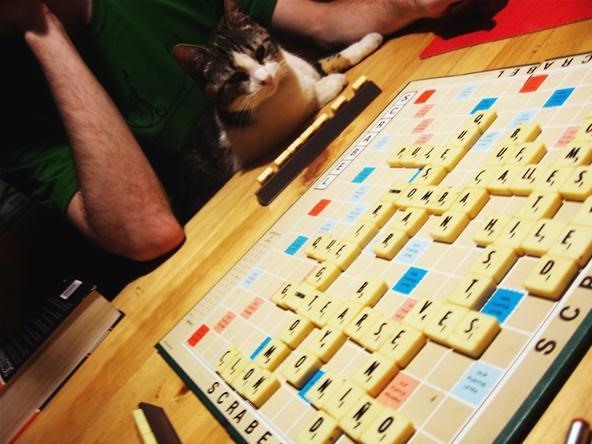 Now, I implore all of you to go home and take pictures of your feline friends playing Scrabble and post them to the Scrabble World corkboard for all to see. 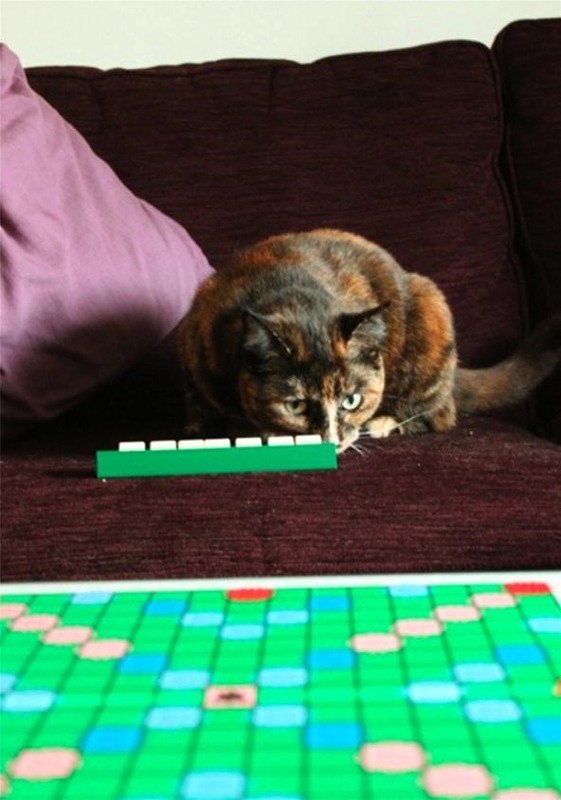 If you like Scrabble and have a few cats, it shouldn't be that hard. 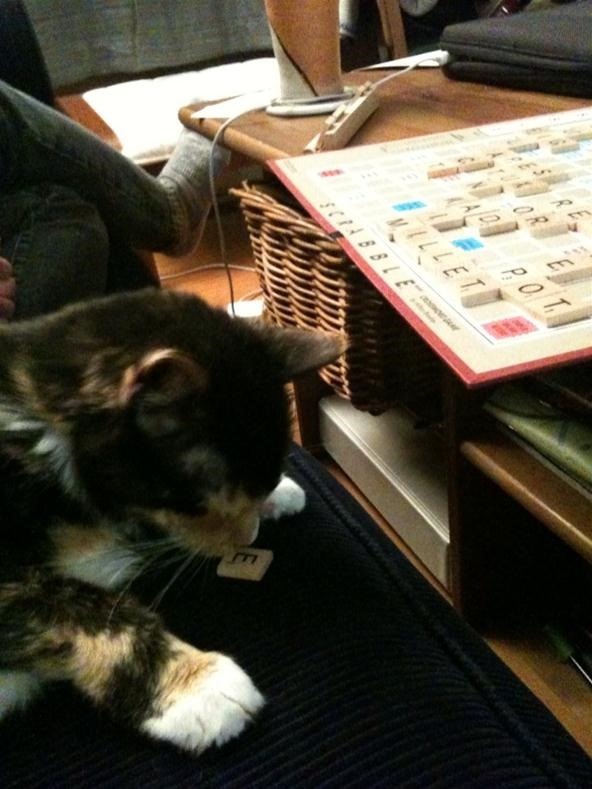 If you already have a picture of a cat playing Scrabble, then go ahead and post that, too! 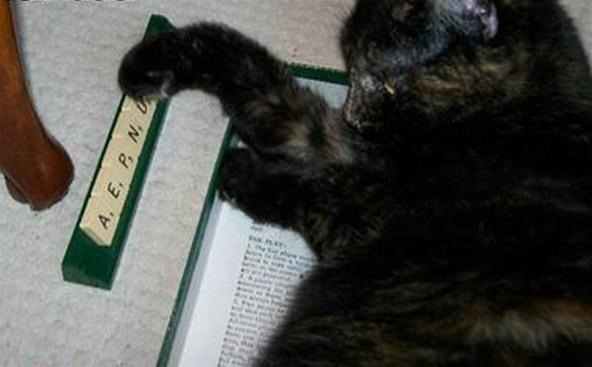 And it doesn't have to be limited to cats or kittens, either. 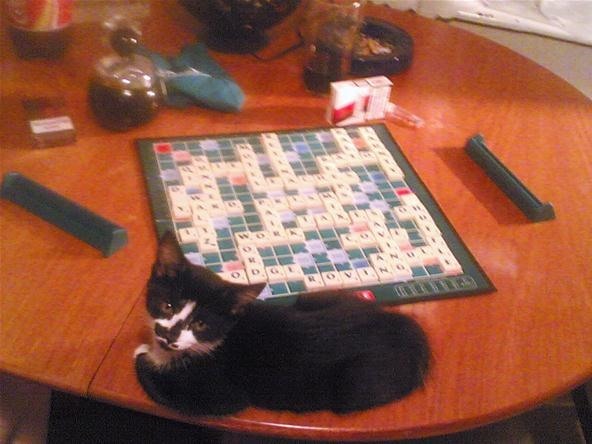 If you have a dog, spider or rat, then I'm sure they like to play Scrabble, too. 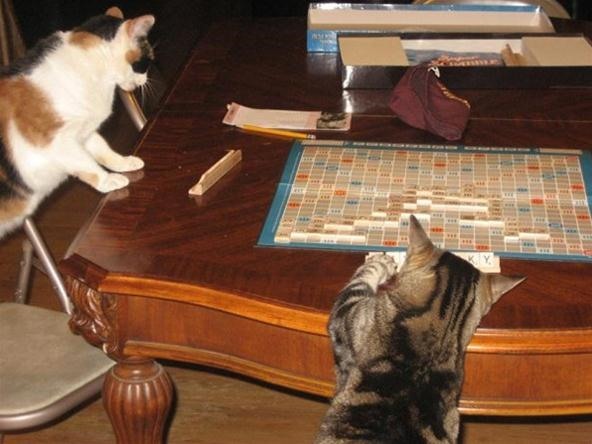 Now... off to take a photo of my cats battling wits against each other in Scrabble! UPDATE: I took a few pics of my cats. Here's one. You can see the rest on the corkboard.